faster and easier than any other roller. * Recessed head nut will not hang up and is easy to remove. 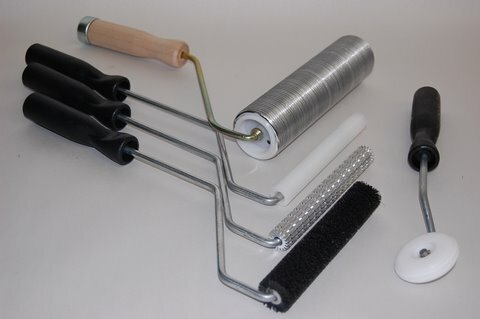 * Plated steel roller support for strength and durability. * Wooden handles are durable and are easy to clean. * All handles accept extensions.